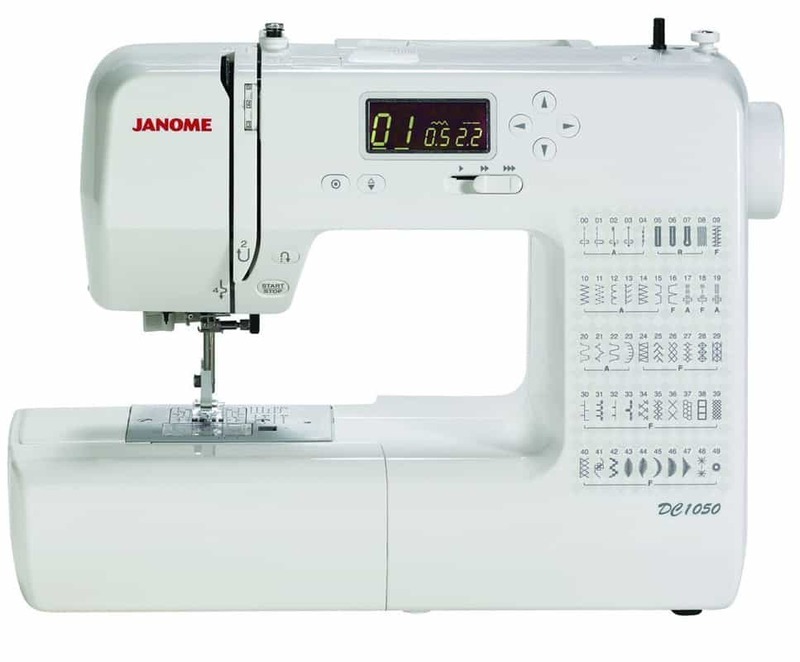 The Janome DC1050 has all of the features you would expect to find on a high-end Janome Decor machine, allowing you to sew with precision and confidence. Recently, I was able to sew for an entire day on a Janome machine very similar to this one and I was impressed at how simple it was to use and how well it sewed. For under $400 this machine has a lot of practical features that simplify sewing. Read my review in the Description below. Only comes with 3 standard feet; others will need to be purchased separately. Does not include extension table; must be purchased separately. No hard case included (Walmart carries an inexpensive hard case). If your budget allows you to spend a little more on a beginner machine then this one is a good option. By not including too many bells and whistles, Janome is able to offer a few more features with a budget-friendly price making this machine deliver on practical functionality and quality basics. If you don’t mind having to purchase the additional feet or extension table then this machine would be a great starter machine that allows you to expand your sewing abilities without having to upgrade to a more expensive machine too soon.